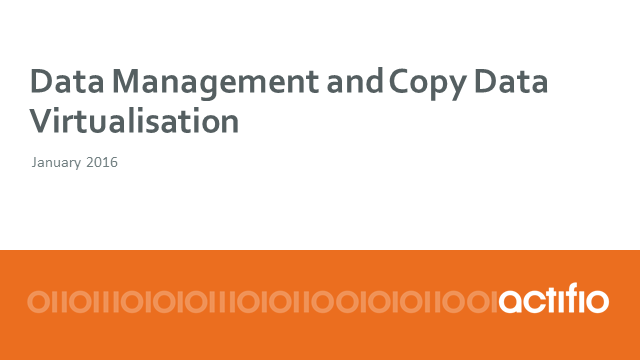 Pete Youngs and Mark McQueen from Ortecha walk you through the EDM Council's Data Management Capability Assessment Model (DCAM), describing the structure of the model and how it is used to benefit your organisation. This webinar is a panel debate with experts sharing their thoughts on the Roles and Organisation you need to support Data Management successfully. Considering a career in Information Management? Already well established in the field? Want to build up information management capabilities in your organisation? It’s not only the “Information” skills that are essential, but the wider business and soft skills are vital for effective Data Management roles. • Does Data Management certification help? Nicola Askham, The Data Governance Coach, interviews Mark Humphries, Chairman of DAMA UK and Information Management Consultant for Civica Digital to get his advice on doing Data Governance. “I have never used a tool with clients that has been so universally and successfully adopted” Silos, Politics & Turf Wars by Patrick Lencioni. Data is an asset is no longer a cliché. However, business data needs to be owned, managed, secured and fit for purpose within the context of organisational challenges, complexities, culture, politics and operational priorities which can define if any Data Management team succeed or fail. Years in the trenches delivering Data Management as a business capability into a multi-billion pound programme with organisational complexities - there are ten tips I would like to share with you which are fundamental in the successful delivery of any data management program. I do profoundly believe they are simple but very important and it is worth knowing - probably not universally and successfully adopted in any organisations. They are not in any particular order but for any Data Management team and program to be successful – I strongly recommend their consideration with a clear strategy to develop and embed them within the organisation. New to data management? Or already a data professional but want to extend your data skills and knowledge? We can help; hear about DAMA UK's mentoring scheme. Developing partnerships between data professionals to share knowledge, skills, information to foster your personal and professional development and growth. This is a new discipline introduced into DMBoK 2.0. DI&I covers addresses the different types of Data Integration approaches ranging from P2P through ETL to DV and EAI. The webinar will describe the different approaches, together with the applicability of the different approaches. The issues and implications of each will be discussed together with an outline of the technologies available that support these styles of integration. Have you mapped your personal data supply chain yet? In this joint webinar between DAMA UK and DAMA Ireland, Ken will explain how smart businesses are using the DataValueMap.com (from Cork University Business School) to visually map their personal data supply chain and extract business value in the process. The DataValueMap.com is a paper based, tech free, silo busting business tool that helps business managers build a shared understanding of any data initiative. It's perfect for enabling business people to quickly sketch how critical information (such as personal data in the case of GDPR) flows through their business. Join this webinar as Nicola Askham, The Data Governance Coach, does her first ever live Data Governance interview with Mark Wilson, the Head of Data Quality for Handelsbanken UK. Find out real live tips and best practices to help you implement Data Governance successfully. To be successful at Data Architecture, organisations have always needed to understand what data they have, why they have it, how they use it, where it is, how it got there, and what happened to it along the way - forming a 'pipeline' of information. Very often, this pipeline is managed and documented using a mish-mash of tools and methodologies, often resulting in conflicting and contradictory information, making it difficult for Data Governance to be effective. In this webcast, George McGeachie will demonstrate the key features of SAP PowerDesigner that support the pipeline. A set of requirements and business rules, and an existing Conceptual Data Model, will be used to create Logical and Physical Data Models. This will include the generation of JSON structures from both Logical and Physical Data Models. Some of what you will see is not out-of-the-box - it has been built using PowerDesigner's powerful customisation features. This presentation provides a strategy for Child Welfare organizations to meet the new CCWIS data requirements. Kreig Fields will specifically cover the key data challenges that organizations are facing, and show how US CCWIS requirements address those issues. He will then describe a Strategic Roadmap for implementing CCWIS requirements to improve the safety, wellbeing and permanency of children. Many organisations aspire to become digital, data driven enterprises. In these organisations data is viewed as a critical asset, both to generate new digitally based products and services, and to guide and improve business operations and decision making. But many companies are failing to live up to this aspiration. They struggle to develop and implement data strategies that align with, and help to deliver, new business strategies. This webinar will explore what becoming ‘data driven’ really means, examines some of the reasons why many organisations are failing to realise their ambitions, and propose ways of overcoming the challenges. Key to these is a strong emphasis on the increasingly critical importance of established data management disciplines, especially Data Governance, Data Quality and MDM, which all have a critical role to play in the digital business of the future. •What is a data driven organisation and how does it differ from a traditional company? Sue Geuens, president of DAMA International draws on her years of experience of managing data and elaborates on some of the most important reasons for actively managing data. Once upon a time, data, information, values, and lessons were all communicated by spoken word. Narrative was used to encode and shape data, quality control the transmission of the message, and keep the story alive. That's the simple version. Dr Katherine O'Keefe is an expert in the use of fairy tales and the narrative patterns of folklore in literature. She uses these skills to help data governance clients figure out why their data-driven happy ending hasn't happened yet. How to reinterpret classic narratives to teach valuable data governance lessons. Brexit is happening, GDPR is rolling on, and the world is a cold and forbidding place.This webinar from internationally recognised Information Curmudgeon Daragh O Brien sets out some stark facts for organsiations about the journey to GDPR, particularly if you are UK based or deal with UK partners or subsidiaries. Welcome to the DAMA channel, the Data Management Association providing professional certification (https://www.dama.org/content/certification) & Data Management Body of Knowledge (https://www.dama.org/content/body-knowledge) to members around the world. Our presenters cover topics across the spectrum of Big Data, keeping current on the growing industry. Make sure you check out some of the benefits of membership (https://www.dama.org/content/about-us).